My research centers on the practice of ‘transference’ in relation to printmaking, focusing on the ways in which artists employ print-based pedagogies to “think” about making art. Contemporary print-based practice is understood not simply as an assortment of technological skills to be acquired and employed, but rather as a set of unique aesthetic and conceptual problem-solving strategies that may be transferred and applied across diverse media. Rooted in mimesis and repetition, transference is a particularly apt term for discussing print-based practices and the movement of images, processes and ideas from one surface or media to another. In the most basic terms, transference references a shifting from here to there; a conversion of this into that. In both biology and cultural studies, transference is a term associated with ‘memes’ or systems of behaviour passed on from one individual or organism to another through evolutionary processes of adaptation, imitation, reproduction and inheritance. Drawing on the association of print as a meme, the concept of transference is presented as a pedagogical methodology as well as a process of technological and conceptual exchange. For this panel, I will expand on these ideas, focusing on the ways in which our engagement with new (often digitally-based) technologies are transforming the ways in which we think with and about print culture and the relationship between the hand and the machine. Drawing on contemporary discourses in anthropology, cognitive science and media studies, I explore print-based practice through the theoretical lens of technogenesis, material agency and the embodied mind. Here, print media is seen to coevolve with developing technologies to reinvigorate approaches to material practice and humanistic inquiry. I will discuss the work of several contemporary print-trained artists who push the boundaries of what print is and can be. Indeed, the very history and ‘language’ of print culture is one of both evolution and revolution. Grounded in mimesis and multiplicity, print has long been a critical media for disseminating knowledge, questioning ideology and inspiring social activism and change. In addition to equipping artists with the ability to creatively problem-solve across a variety of media, print-based thinking inspires practitioners to ask questions that lead them to tackle material and conceptual challenges in new ways – while inviting the viewer to do the same. To speculate on print’s future demands that we review its very conditions of possibility. In this, the field of print is only as narrow or expansive as one’s imagination. Jenn Law is an artist, writer and researcher living in Toronto. She is a member of Loop Gallery and Open Studio Contemporary Printmaking Centre, where she works primarily in print media, cut paper and book work. Law holds a PhD in Anthropology from SOAS, University of London, England, a BA in Anthropology from McGill University and a BFA from Queen’s University. She has worked as a lecturer, editor and curator in Canada, the UK and South Africa, and has published on South African, Caribbean and Canadian contemporary art and print culture. 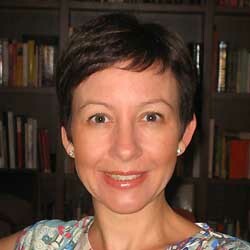 Law has shown her work internationally and has received numerous fellowships, grants and awards for her research, including from the Social Sciences and Humanities Research Council (SSHRC) of Canada, the British Council and the British Academy. Law is the co-editor, with Tara Cooper, of “Printopolis” (to be published in 2015 by Open Studio Toronto), and has recently contributed to Craftwork as Problem Solving: Ethnographic Studies of Design and Making, edited by Trevor H. J. Marchand (Ashgate Press, 2015).